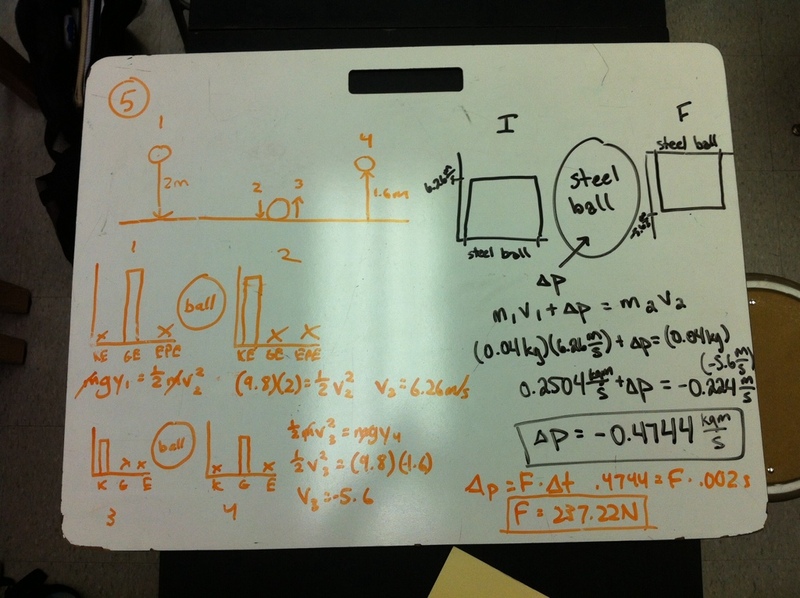 Today we started the Central Force Particle Model with a conceptual paradigm lab. I have never tried bowling balls and mallets before, but I picked up some cheap mallets over the winter break and found four bowling balls that we had laying around. The activity was a good review of unbalanced forces. 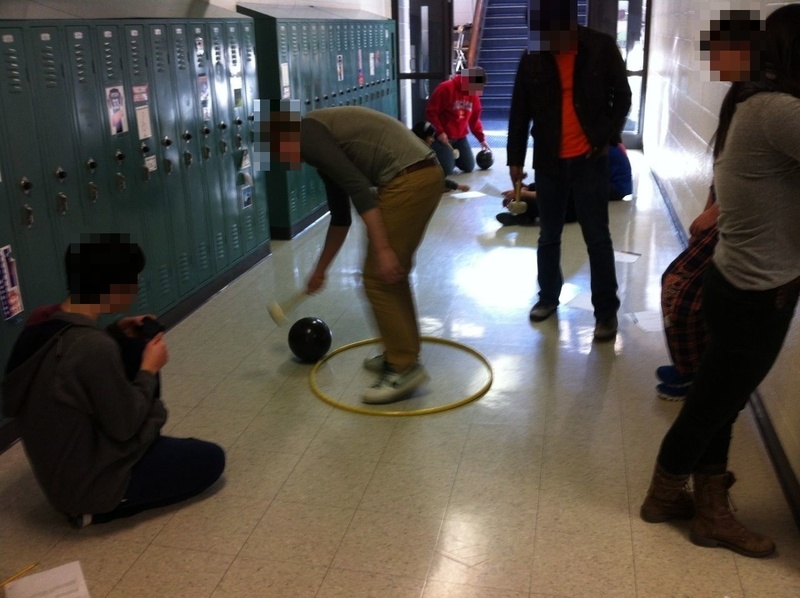 It was reassuring to see students converge on the concept that a force directed toward the center of a circle is required to keep the bowling ball moving in a circle. We worked in the hallway instead of on a basketball court. We’re not suppose to put tape on the waxed floors; so, we used a hula hoop as the indicator for the circle. The lab went well, and I’ll need to find a couple more bowling balls for next year! Tonight we welcomed 8th graders. 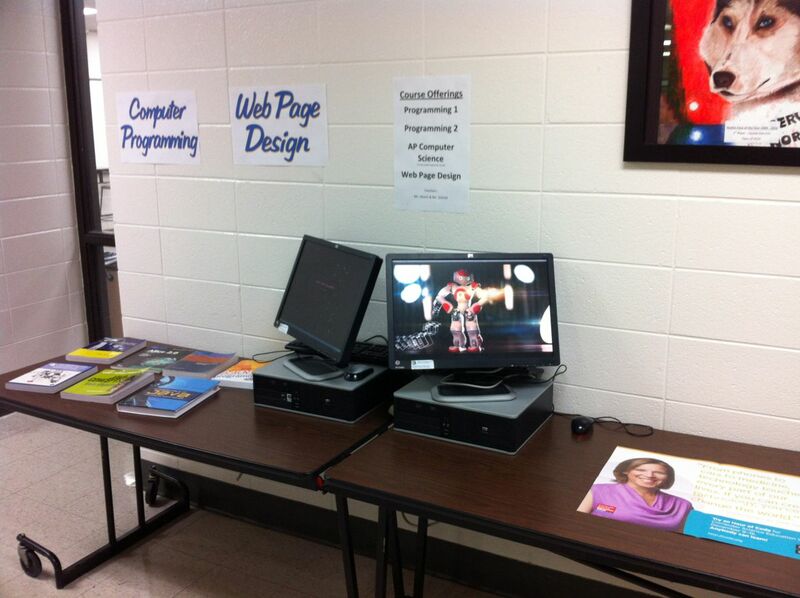 The Career and Technical Education department does a great job promoting the options available to students. My colleague, @Mr_Alesch and I promoted the computer science classes that we offer and answered a lot of questions from parents and students. The code.org materials make it easy to have professional materials and videos to help in recruiting. We also showed the video I created to highlight computer science and student projects. 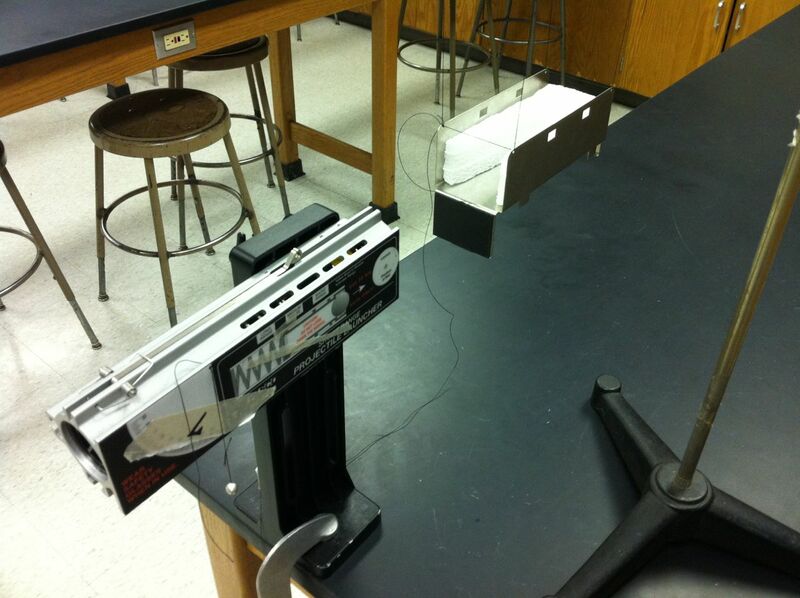 The lab practical for the Momentum Transfer and Energy Transfer Models unit was to determine the velocity of a projectile using a ballistic pendulum. It’s a classic application of momentum and energy. In hindsight, I realized that I should have had groups compare the velocity determined based on the ballistic pendulum with that determine last semester using other methods. Next year! I like that we came back from an extended break and started the Momentum Transfer and Energy Transfer Models unit. It gives students time to get back in the swing of things by applying familiar models. Great whiteboards today including a mistake that lead to a great discussion. This whiteboard was my favorite (despite the IFF chart). I love coming back from winter break and starting the second semester of AP Computer Science with the Media Computation unit based on the materials developed by Barbara Ericson at Georgia Tech. Is is a great way for students to practice all of the concepts from the first semester in a very engaging and creative context. 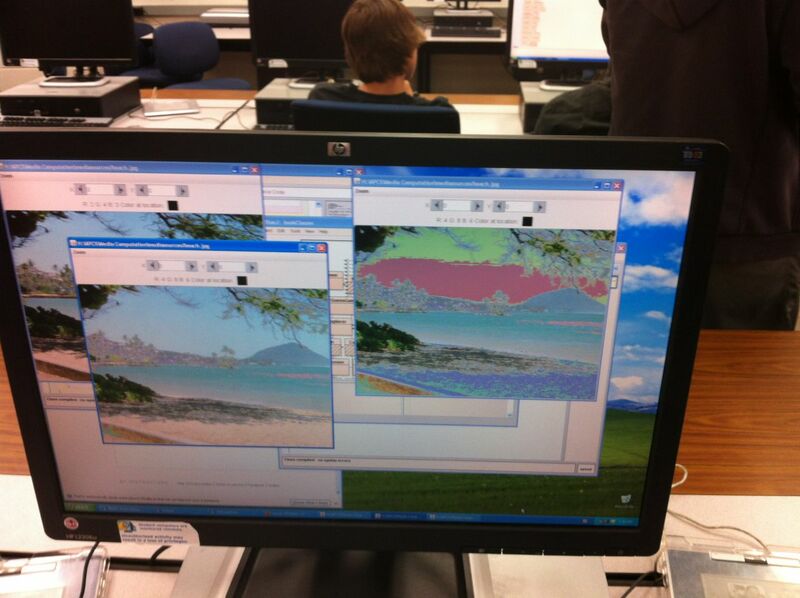 Today we were writing filters for photos. One pair started experimenting and create some neat effects. We had two days of school canceled due to excessive cold. This worked out well for me since I was stuck in Connecticut until Tuesday night. 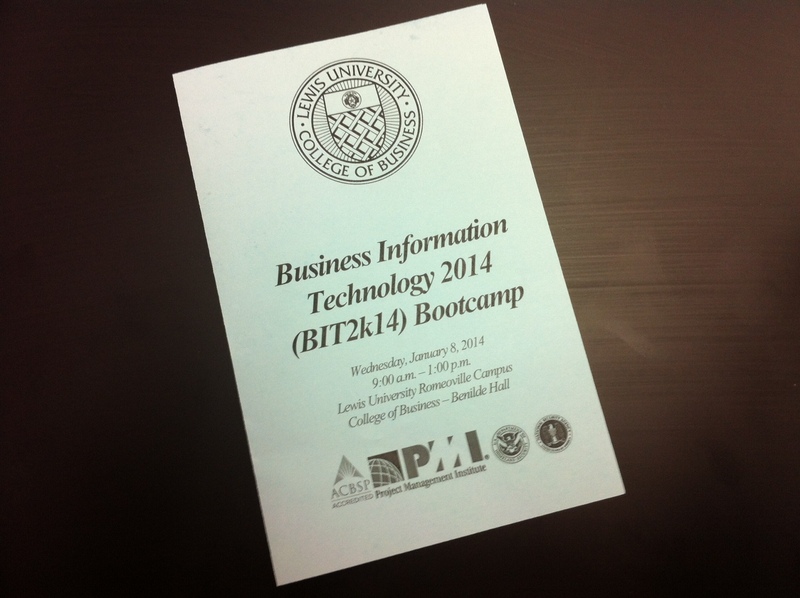 It did make the first day back challenging as we had planned a field trip to Lewis University for their second annual Business Information Technology Bootcamp. My computer science students spent the day exploring applications such as data analytics and big data, network surveillance, and social media strategy. Lewis University does a great job making the day interactive and hands on.